To celebrate the energy and enthusiasm surrounding the World Cup and football around this time of year, Nike Sportswear has unveiled two new collections Mercurial and Magista collections. 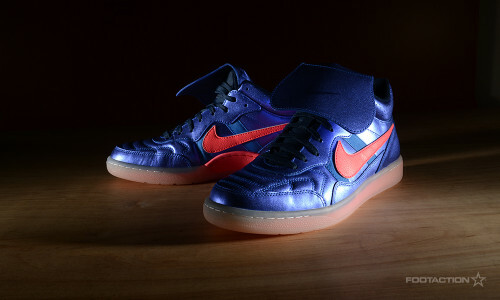 One of the standouts is the Nike Tiempo ’94, which is directly inspired by an iconic soccer cleat. Designed for everyday wear with a premium leather upper, removable fold-over tongue and classic cupsole construction. The silhouette’s oversized tongue, stitched upper, and bold heel branding have all been updated with tonal metallic-foil leather to pay tribute to the upcoming summer games. Print article This entry was posted by hhcblog on June 13, 2014 at 12:11 pm, and is filed under Footwear. Follow any responses to this post through RSS 2.0. You can leave a response or trackback from your own site.